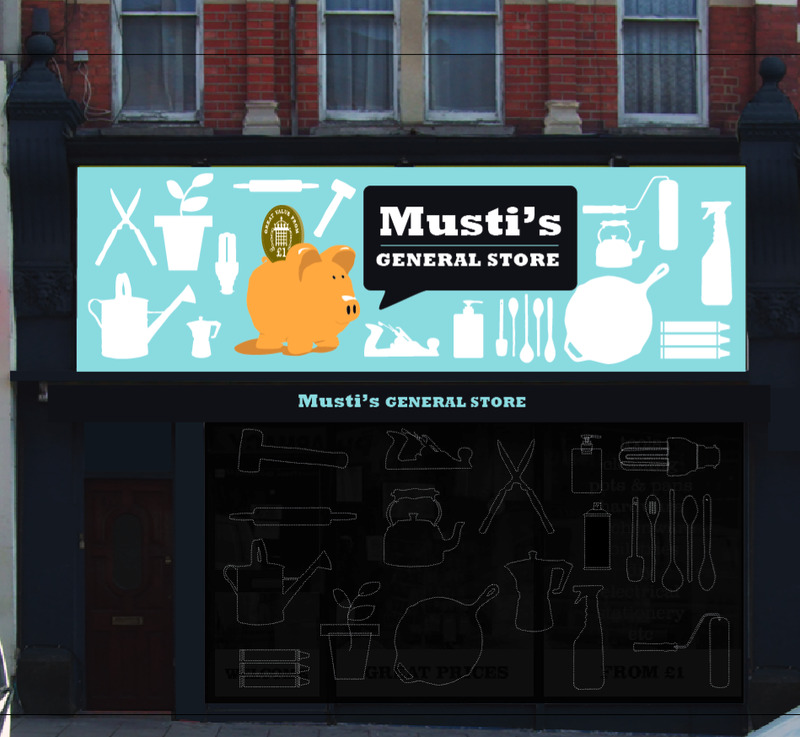 This is a sketch (the shapes and pig need refining but you get the idea) for Mustis new sign now that he has his new shop front. We we able to go inside the shop before it was renovated and it has the original ceiling roses from the original light fittings above the false ceiling and the original wooden floor that started in the middle of the front window where the original door would have been. unfortunately the floor is now concreted over. It would have been great to have revealed the original features in the refit but hopefully they are untouched and safely covered by a new false ceiling. We have looked at Musti’s before and it generated some interest (it’s how we got to meet the man himself, and what a nice guy he turned out to be). So here is the latest…complete with pig. Musti's, as it is today. It is possible to put graphics on roller shutters. I’m not a huge fan of them normally. IF YOU LIKE THIS, PLEASE TELL PEOPLE ABOUT IT! Kente is a great little coffee shop in the high street. We are lucky that we now have a few good places to go (although I wish some were open late!). When I posted the original Deli what if it caused quite a lot of debate which led to calls for Kente to change it’s sign. 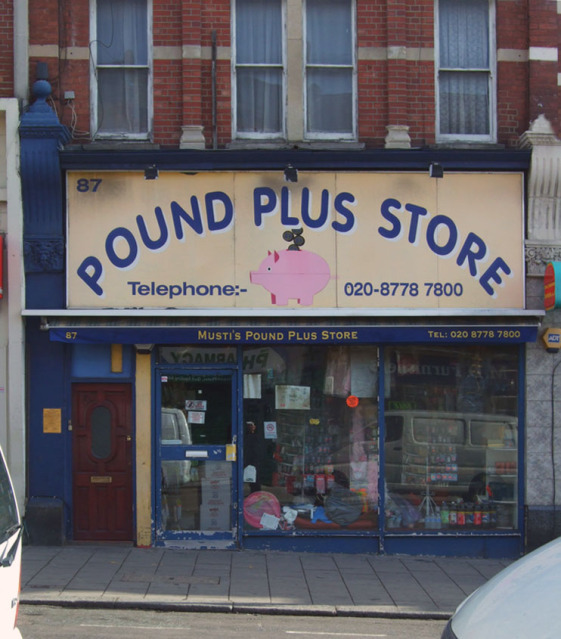 It’s blue and yellow signage look more appropriate for estate agents sign that sits above the shop. The lights inside have an art deco feel to them. 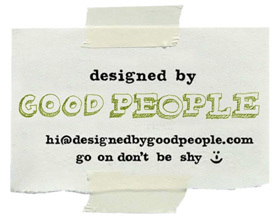 So I’ve picked up on some of these visual cues with the type. Colours are warm and inviting golds and reds on a roasted brown background which are colours more associated with coffee. Look at coffee packaging and a majority of it uses browns, blacks, reds and golds/yellows. The sign would be better on wood rather than the shiny plastic background currently used. Colours are adjusted (background of sign is very dark ‘roasted brown’), logo is gold with deep rich red-ish brown type for kente. Type is adapted from some type on old travel posters, hand drawn bespoke for this, it’s not just a font! This is my first ‘what if’. I may do more if it’s well received and who knows, perhaps the council will take notice. …was painted and had a bit of TASTEFUL signage so people actually know what it is!. Is it that difficult or expensive to do? Some nice proper phone boxes would be nice in such a prominent location, remove the damaged and tired railings etc. And perhaps it’s worth changing the net curtains in the window. How about some fresh different coloured vertical blinds to bring a bit of colour to the high street? Added blinds in different colours.